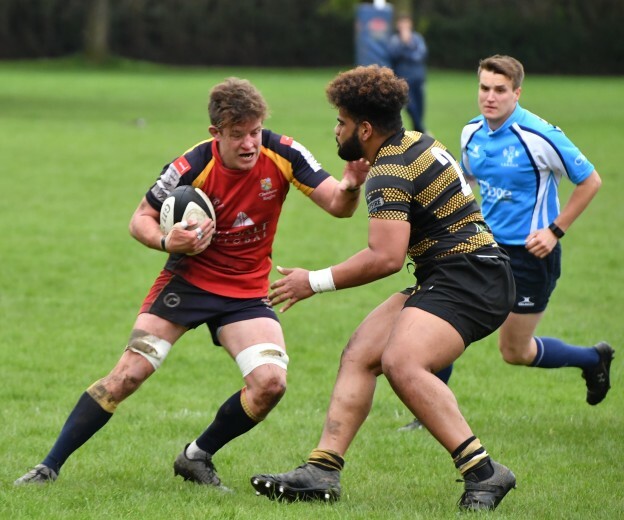 Having finished their league campaign last week the Chobham team made the short journey to Camberley for their Surrey Trophy clash. 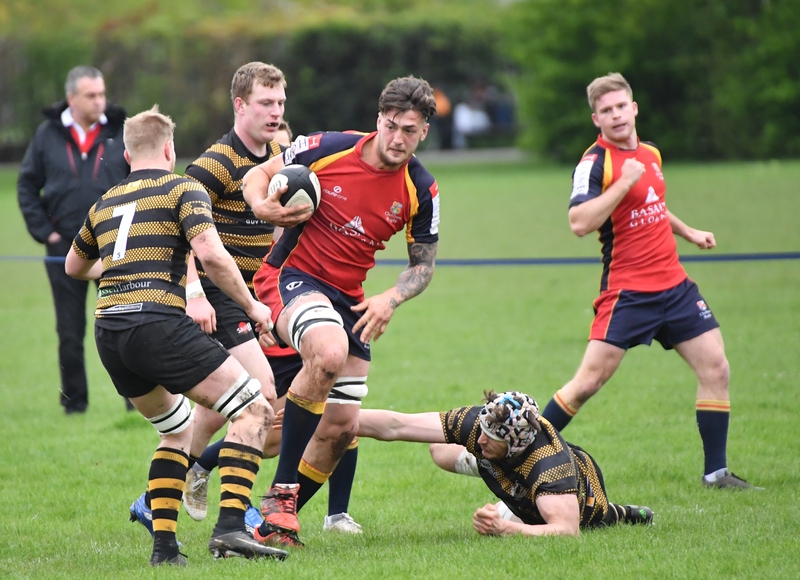 With the RFU intermediate cup final at Twickenham to look forward to next Sunday for Camberley, they made a raft of changes to their side but still fielded a strong side high on confidence, ability and desire to get one over on the visiting Chobham side. Chobham came out of the blocks firing on all cylinders and took just a matter of minutes to cross the Camberley line. From a fantastic carry by the returning kiwi Ben Whale and some slick handling in the wide channel, right wing Callum Edwards finished a superb team try. Converted by fly half Josh Clark and the away team were 0-7 up. Before the first 5 minutes were up Chobham had their second from the same scorer Edwards after a break and sumptuous offload from big second rower Dom Sammut. The score was now 0-12. Camberley were really struggling to contain the pace and accuracy that Chobham were showing in attack and the score line was again soon stretched as fly half Josh Clark volleyed a loose ball towards the Camberley in goal before chasing his own kick and gratefully accepting the ball as it fell kindly in to his hands. Unfortunately he was unable to convert his own score, 0-17. At this stage Camberley came back hard and finally got both some possession and territory which had so far alluded them but the Chobham defence stayed resolute. Chobham were able to add a 4th in the 30th minute as Chobham’s left wing Liam Monaghan joined the scoring party with a an excellent finish. With the score now 0-22 Camberley were able to secure their own 5 pointer just before the half time whistle. Capitalising on a Chobham error they converted well from 40 metres out. 5-22 the score finished at half time. The second half was much more evenly contested as Chobham appeared to lose a little rhythm as they made a raft of changes throughout the second period from their extended bench of 8 players. 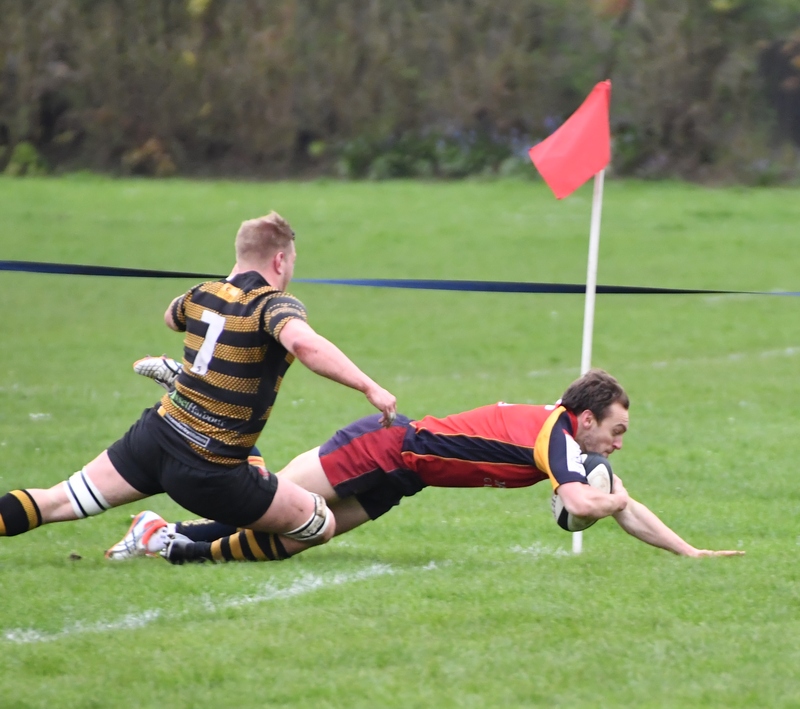 However, the tries kept coming for the visitors and they continued to show glimpses of fantastic attacking play throughout the 40 minutes. 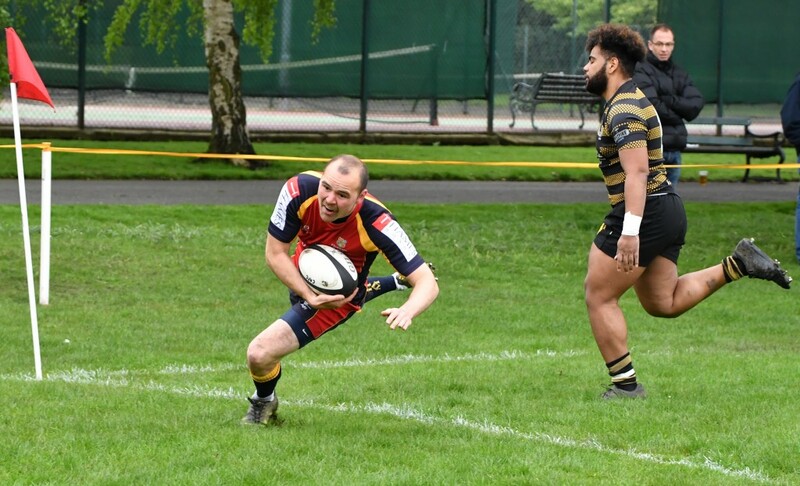 Dom Sammut crossed before Ben Whale did the same both from powerful run ins before Olly Campbell managed to gather an offload from Chris Browne to cross for his first ever try for the Chobham 1st XV. Campbell’s was converted by Clark before Monaghan grabbed his second late on. Camberley continued to defend resolutely and threaten with ball in hand but Chobham looked good for their 5-44 victory on the day. Chobham now move on to the final which will take place on Bank Holiday Monday, May 7th next week at Esher RFC. All support will be greatly appreciated. On an afternoon that saw so many great scores it was fitting that one of those players receive the MoM award and there was really only one man who it could go to. 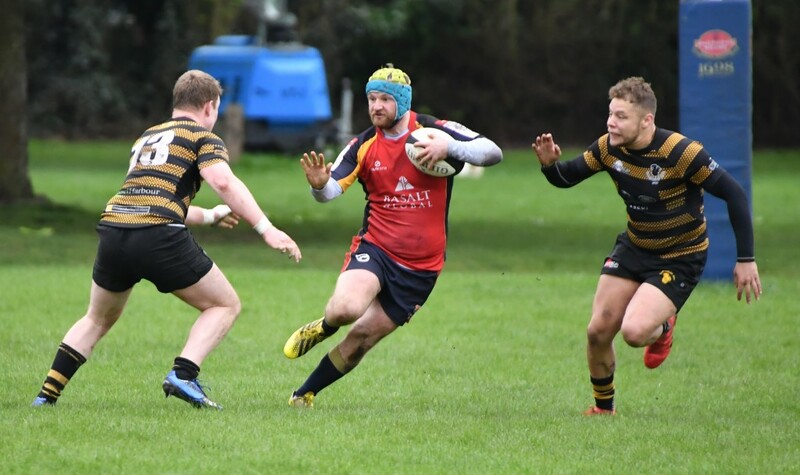 Ben Whale, in his first game for Chobham’s 1xt XV for over 3 years was a constant thorn in Camberley’s side throughout the game. 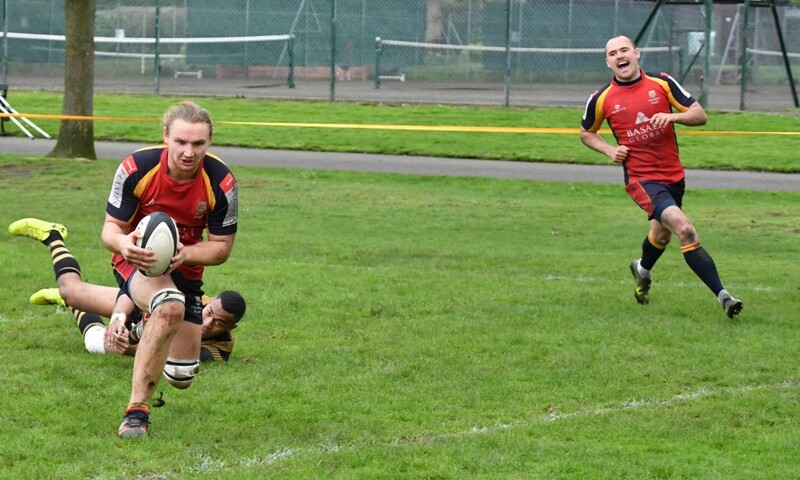 A special mention also has to go to second team coach Andy Campbell who made his Chobham 1st XV debut at the ripe old age of 50 years old when he came of the bench at prop. An incredible effort.